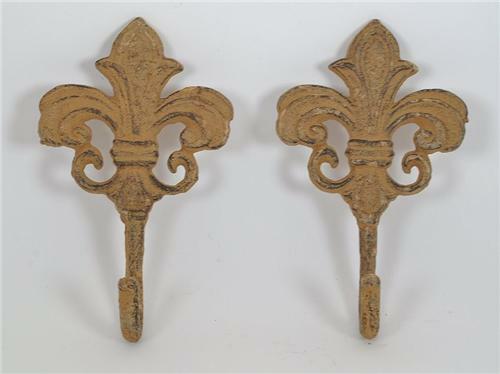 From our year end inventory are these nice cast iron hook wall hangers. In a very nice rustic, yet light appearance these will make a wonderful addition to any decor. IMPORTANT SHIPPING NOTE: This will ship USPS Priority Mail, well bubble wrapped and in a Priority Mail Padded Envelope for inexpensive, safe, and faster delivery to you.